The other day we were cruising the Matablog and discovered a couple of things:  There’s a new GIRLS record called Father, Son, Holy Ghost coming out soon — stream it here  Stephen Malkmus is still a king  GIRLS will be in town next week for two shows. 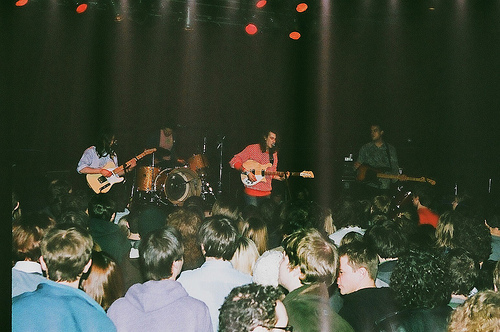 If you remember Girls’ last trip to Nashy at Exit/In alongside Smith Westerns and Magic Kids, then you probably remember how packed it was and thought, “Bet it’d be cooler to see these guys in a more intimate setting. Not like in my bedroom or anything, but that might be cool too.” Well you’ll get part of that when they hit town on September 16th. 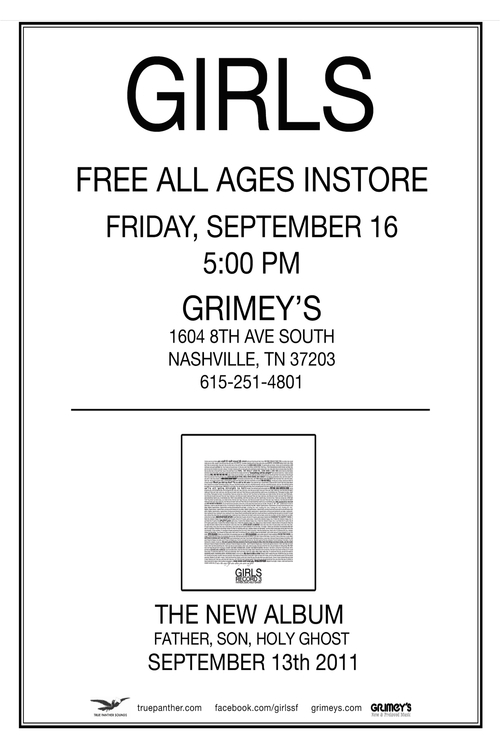 They’re doing an in-store at Grimey’s New & Pre-Loved before they hit the stage over at Mercy Lounge later that night. Check the flyer down there. We also just got word that our favorite Nobunny is gonna be opening the Mercy Lounge show. Sounds killer to us. See you there.